With the newly opened Element at Amara Hotel Singapore, a bold concept of introducing Basque cuisine with a young talented 22 years old Chef de Cuisine, Chef Mikel Badiola from San Sebastian in Basque Spain. Mikel picked up cooking at the age of 14 when he joined a txoko, a traditional gastronomic society where make members come together to cook in typical Basque culture. Went to culinary school and work in several local restaurant kitchens. At the age of 20, he worked with feted 3 star Michelin chef Martin Berasategui at his eponymous restaurant in Lasarte-Oria, Spain. Left for London to work before returning to Spain as Head Chef at the Real Nuevo Golf Club where his talent was spotted. Showcasing Basque cuisine by the talented new Chef de Cuisine, Mike Badiola, we started with a selection of Pintxos equivalent to tapas. 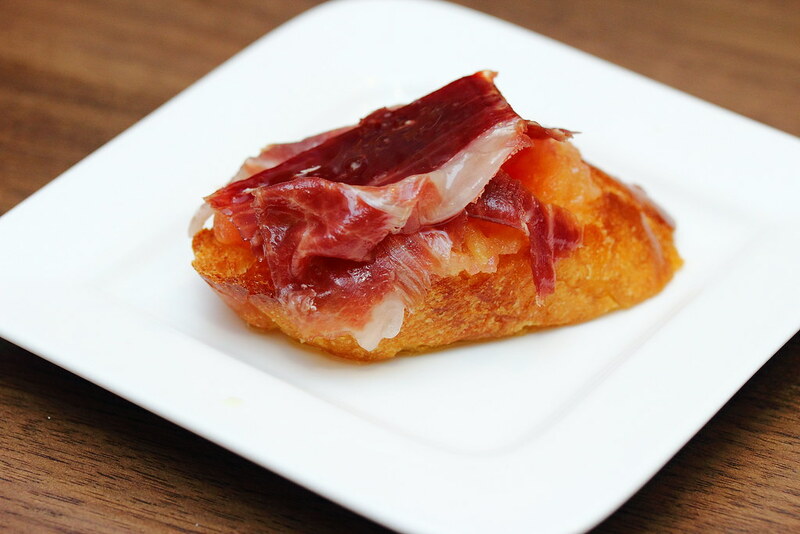 First up was the Toast of Grated Tomato and Iberico Ham ($15 for 2pc). The combination of the flavourful iberico ham and grated tomato was an excellent pairing whetting up the appetite. 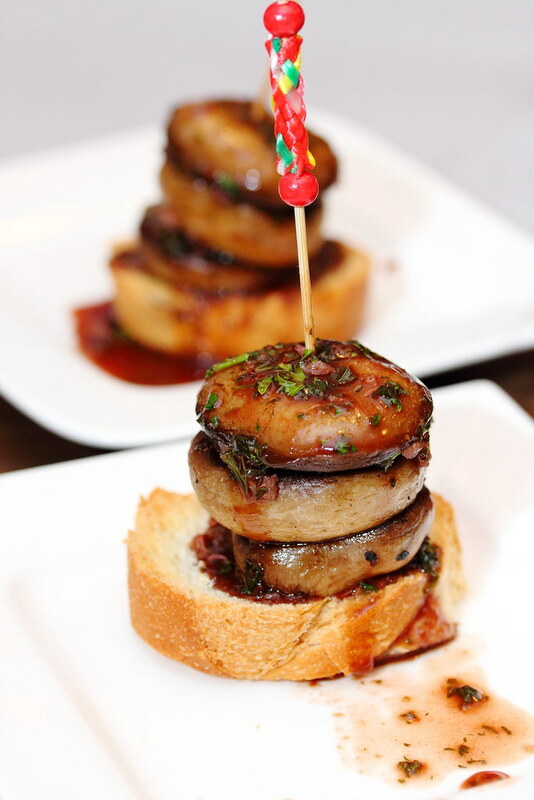 The Mushroom Brochette in Oporto Sauce ($12 for 2pc) has a delectable earthy flavour with a nice hint of spiciness form the oporto sauce. The Cod Fish Bechamel filled in Piquillo Pepper ($12 for 2pc) with its love shaped like presentation was not only delight in sight but in taste. Meticulously prepared in grounding the cod fish into a paste and filled in Piquillo pepper, paired with a delish buttery and creamy bechamel sauce, bursting with beautiful flavour with each mouthful. 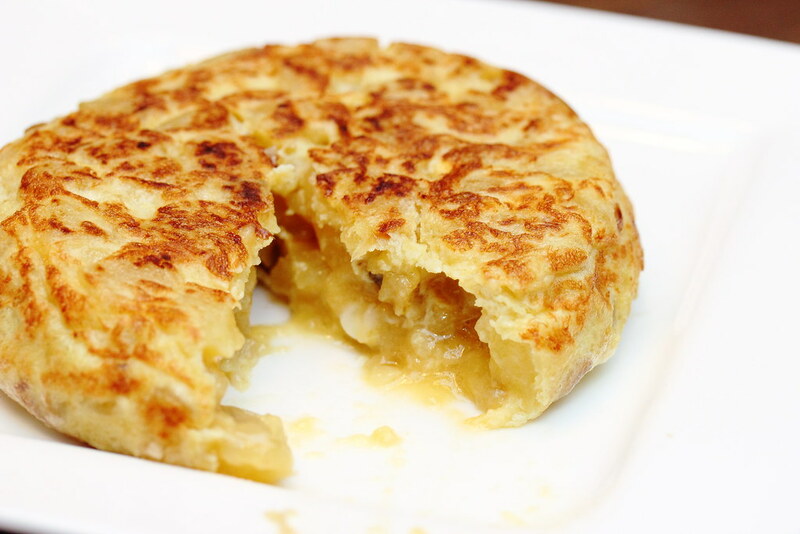 The ordinary looking round shape Spanish Omelette with Potato and Onion ($10) was surprisingly very delicious. The moist interior of chopped potatoes and onions is wrapped in a fragrant slightly charred omelette packed with homely goodness. The Basque Fish Soup cooked with Oven Roasted Bread ($16) took me a while to get used to the acquire taste of burnt bread. As I got used to the taste, I could appreciate the different medleys of flavours hitting the palate with a aromatic smokiness in it. A very comfort and hearty bowl of fish soup. 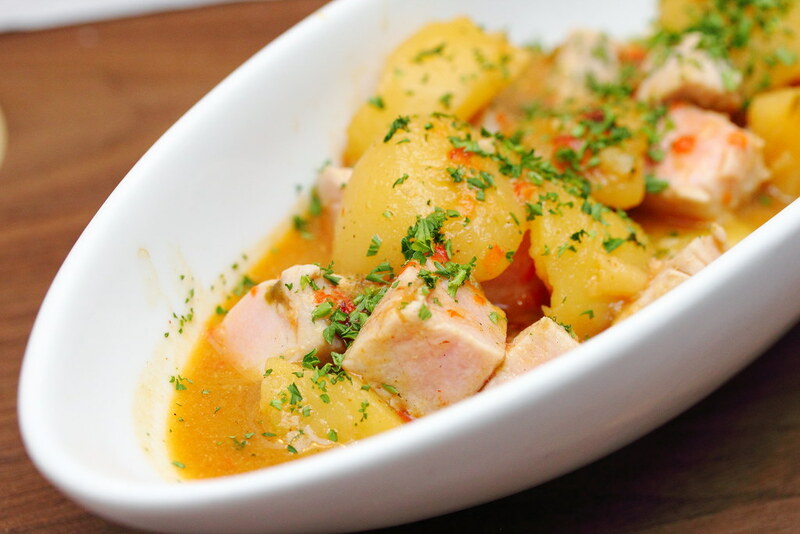 While the Basque Fish Soup has a very robust and complex flavour, the Basque Tuna Stew with Potato and Pepper ($28) will come across as a cleaner version with delectable potatoes and pinkish tuna in cube shape. Given a choice, I would prefer this over the basque fish soup. 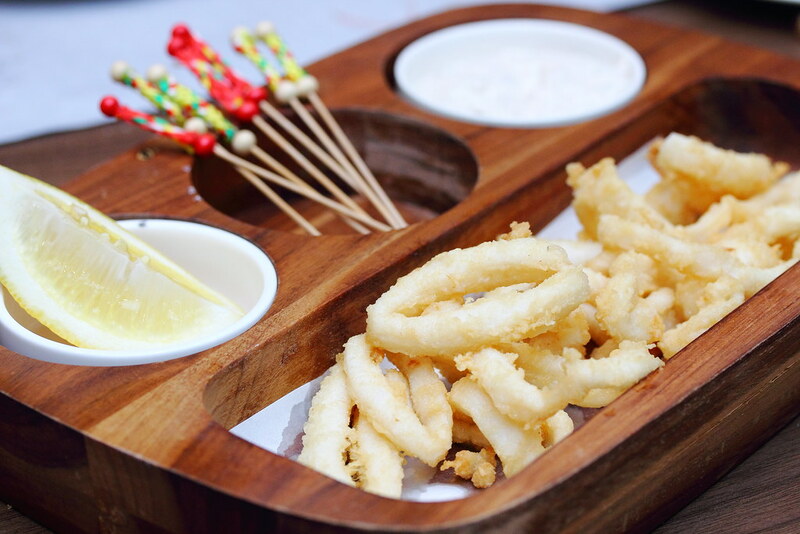 Unlike Singaporean which likes the batter of our calamari to be crispy, the Spanish prefers it to be thin so that it can enjoy the freshness and juiciness of the squid. Squeezing a little zest from the lemon, the Squid with Tartar Sauce ($18) was both springy and crunchy allowing one to enjoy the freshness of the squid to the fullest. 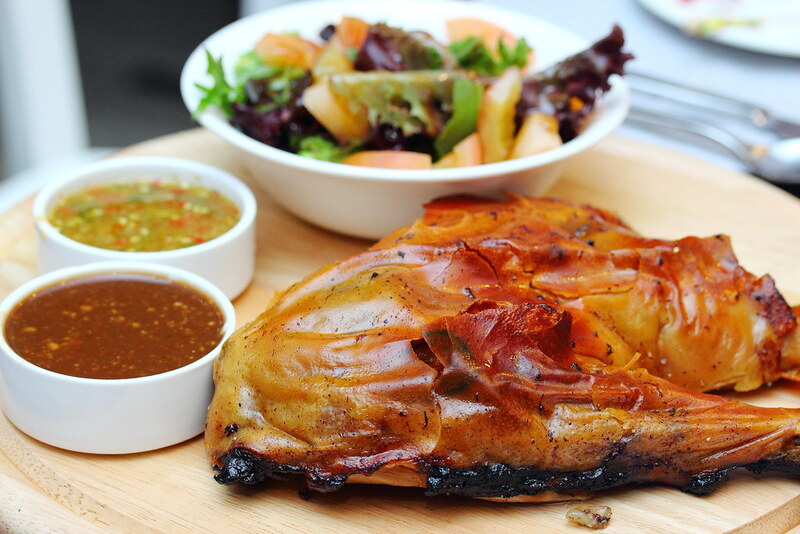 To adapt to the local palate, Chef Mikel has made a number of fine tuning such as making the skin more crispy. I really enjoyed the crackling paper thin skin and the extremely tender meat of the Traditional Roast Suckling Pig ($88 for 3 pax). Paired with the "Amara" sauce which went very well with the roast suckling pig. A trio of dessert ended our night on a sweet note with the Cheese Cake ($9), Honey Jelly Yoghurt with Walnut Cream ($9) and Cold Strawberry Soup with Fruit Brochette ($9). The Honey Jelly Yoghurt with Walnut Cream is an interesting introduction to Singaporean as a dessert instead of breakfast. The combination of honey jelly and nutty walnut cream with yoghurt was interesting nice and great as a dessert. My favourite was the Cold Strawberry Soup with Fruit Brochette ($9). 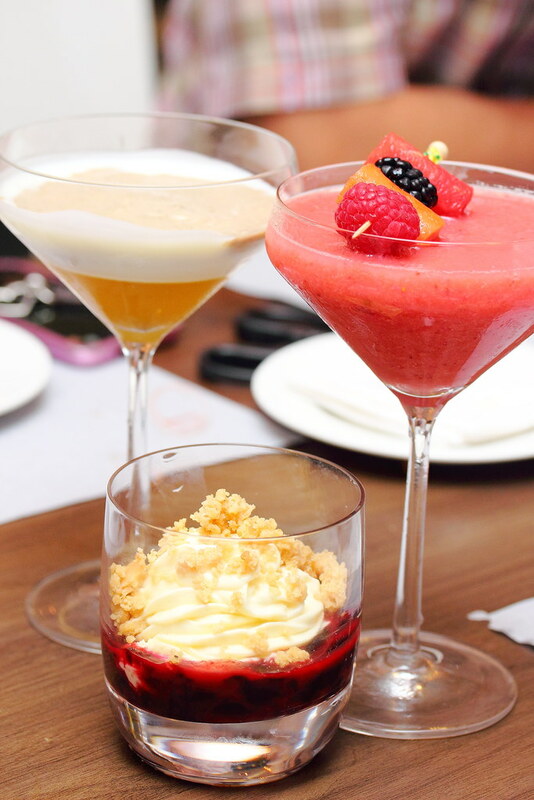 An unique and refreshing drink of infusing the savoury bruschetta with fruity strawberry. The exciting young talent in Chef Mikel with its Basque cuisine will delight patrons with his culinary skill while the different flexible dining element allow one to eat and sit as one please. 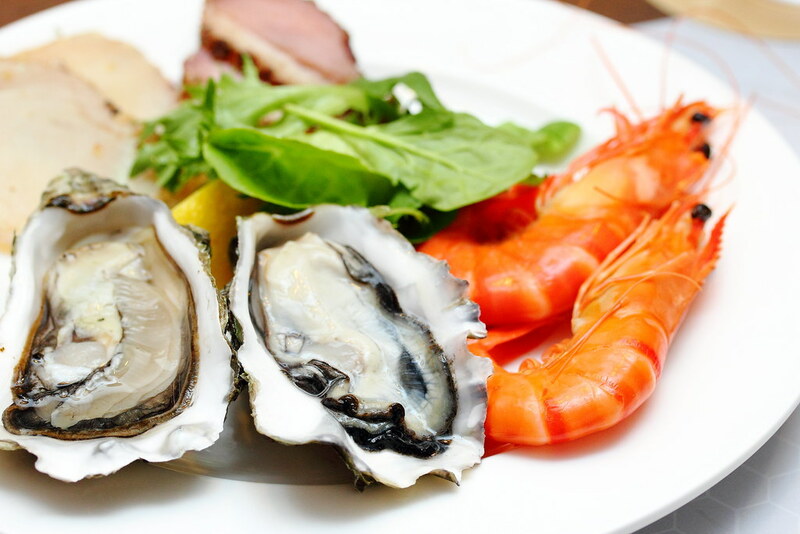 The integrated, multi-concept cuisine means that under a single roof one can dine from the international buffet, Spanish a la carte, Spanish set, Spanish pintxos, signature appertiser from Thanying, Silkroad Cafe Oriental (three other restaurants within Amara Hotel). lol, it was for sharing. Anyway we also never finished it. 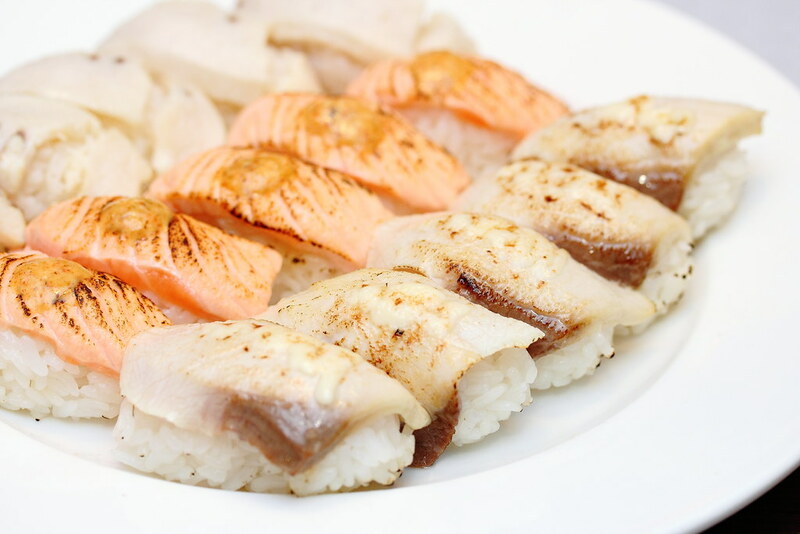 We end up eating the fish and left the rice untouched. some of the food look very interesting, like the cod fish in piquillo pepper and spanish omelette. I like piquillo pepper in general! They are and tasty too. If you have the chanch should check it out. Yum. Looks delicious. It seems Amara Hotel is upping their culinary offers. Tried their revamp International Buffet a few months ago. It was good and value for $$$. Yes indeed and glad to see improvement.